There seems to be an all out assault on restricting Chinese capital from flowing out of the country. In lieu of a sputtering Chinese economy citizens have been looking to get their money out of the Country by any means possible. Even if it means investing in a digital currency such as Bitcoin. 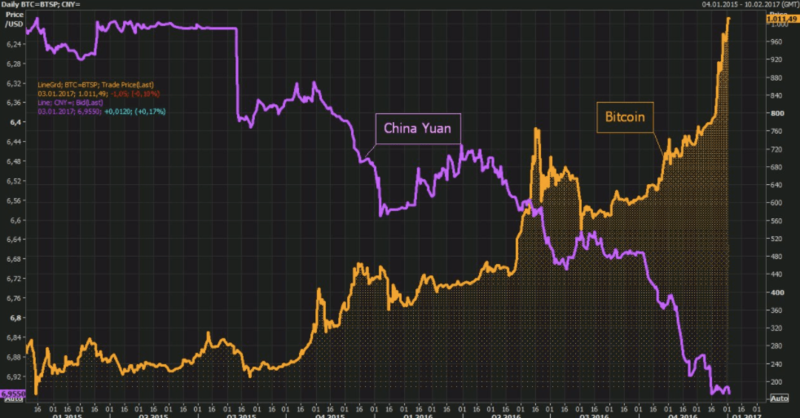 The chart below shows Bitcoin hits a new three year high as the Chinese Yuan falls. So what does this mean for Vancouver real estate? It’s been highly publicized that house prices have inflated globally. Part of it due to the massive outflows of Chinese capital. Perhaps best documented in Vancouver real estate where prices were sent soaring over the last few years. Richmond, the highest concentration of foreign buyers (25%) saw house prices increase the most of any other city in the lower mainland. Detached prices surged 80% over the past 3 years. Since the introduction of the foreign buyers tax the detached market in Richmond has been punished. This comes after an estimated $762 billion USD flowed out of the country over the past 11 months in search of safe havens, such as Vancouver and Toronto real estate just to name a few. This announcement comes at a time when China’s foreign exchange reserves were depleted by $300 billion in 2016, applying serious pressure on Chinese banks. 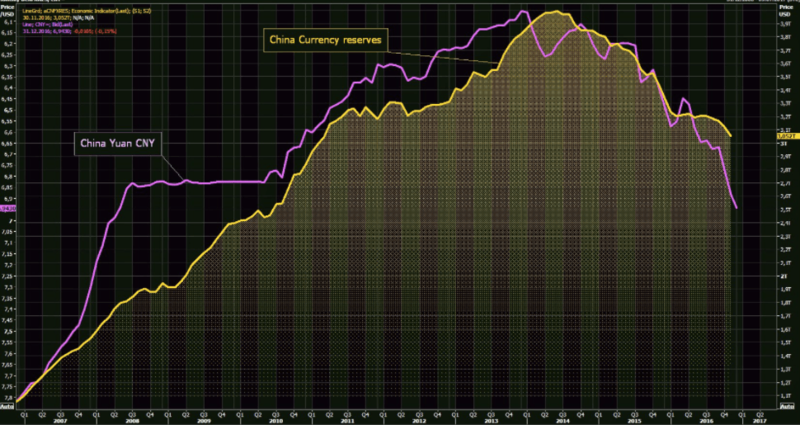 China FX reserves depleted by $300 billion. A turmoil Chinese banking system does not bode well for Vancouver real estate. Especially if the Yuan devalues, reducing the buying power of Chinese citizens successful enough to get their money out of the country. One things for sure, the foreign buyer will have to get even more creative getting their money out of China and into Vancouver real estate in 2017.